One photo every day, for 365 days. Other acceptable descriptions: a photo of food every day for 365 days; plants in Kiki's backyard, 365 days a year; random things from her day, 365 days per year. Haha! I love your "other descriptions!" Also, those paint chips are tiny! How is anyone supposed to pick out paint with those?? Haha, well it's true, isn't it? :) And as for the paint chips, they really are tiny! My mom actually got it just for inspiration for some summer projects, but you're right, they really are small! 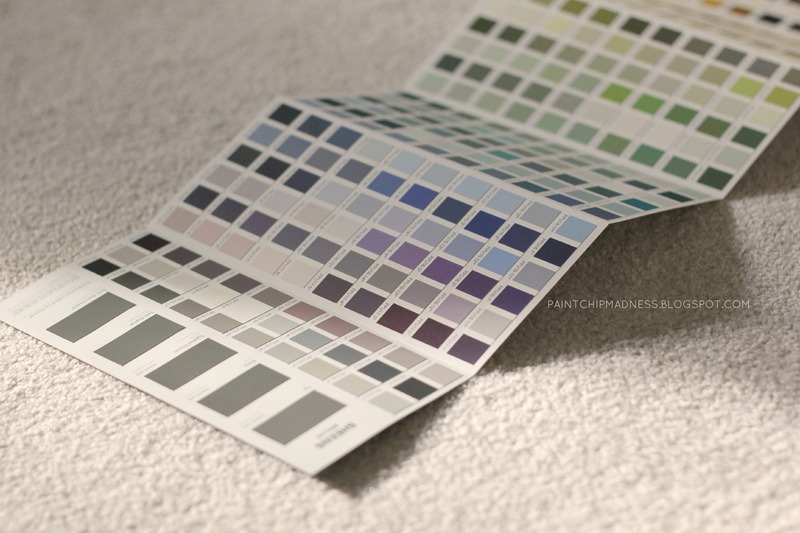 I honestly don't think I could choose an entire room's color based on one tiny little square! Love love Fitzgerald, not surprised you're inspired by him as well. Japanese toast toppings? I'm really interested...what are they? Love the messed up pancakes too, so funny you shot that because not usual for someone to take a photo of food they messed up! Haha one of the reasons I love you girl! And those toast toppings were a lot of fun! My cousin actually sent them from me so I have no idea where she got them, and as someone who cannot read Japanese, it made it a little tricky to see how much milk to add to it. We got an apple-cinnamon flavor and a chocolate one and they actually weren't that bad! It was definitely a fun treat! Paint choices!!! 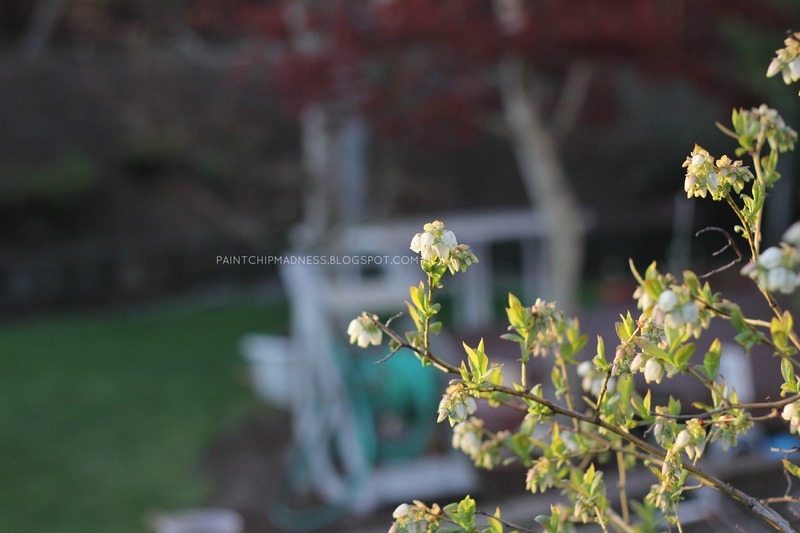 :) I love the backyard shots too! And I'm intrigued - what is on your toast? Your inspiration board is great! Where do you find the quotes? Do you copy them down, print them out, or tear them from magazines? 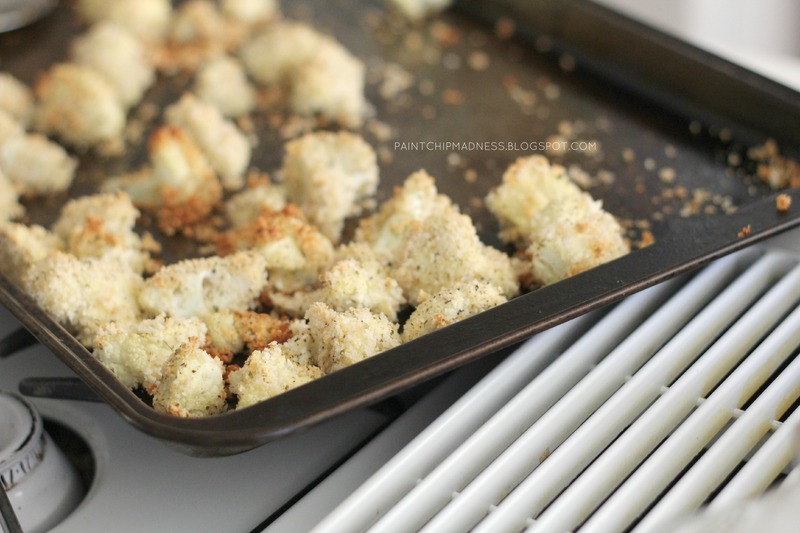 That toast topping is kind of like frosting! My cousin sent it to us and we bought some bread and tried it out. We couldn't really figure out how much milk to add, but it actually didn't taste all that bad! It was definitely a fun treat, that's for sure. Second, that Japanese toast topping looks SO GOOD. Is it like nutella? Third. that inspiration board makes ME inspired. Fitzgerald quotes, ftw. Haha, I'm glad you got it! I wasn't sure how many people would because I don't really associate my blog with its URL (just another reason why I need to finally just buy a domain!). I'm glad you got it! :) As for the paint chips, I'm actually just using them for inspiration right now. My mom and I want to paint some rooms this summer (mine included) so we're starting to collect some paint chips for ideas! That inspiration board is kind of my personal encouragement board. It sits over my dresser and that quote is one of my very faves! I'm intrigued by those toast toppings! And the pancakes of course, ha ha. 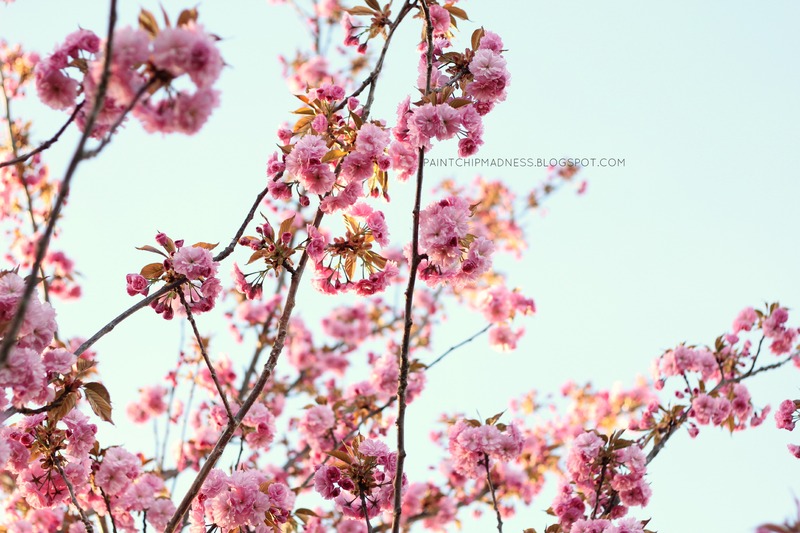 I love the springy pictures! Aw, thanks Leah! It's so nice to meet you and I'm so glad you introduced yourself to my blog, too. 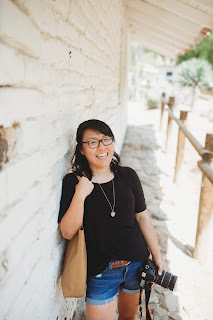 :) Happy blogging! I love your inspiration board! The Fitzgerald quote --I love it! What are those toast toppings? At first I thought it was nutella! 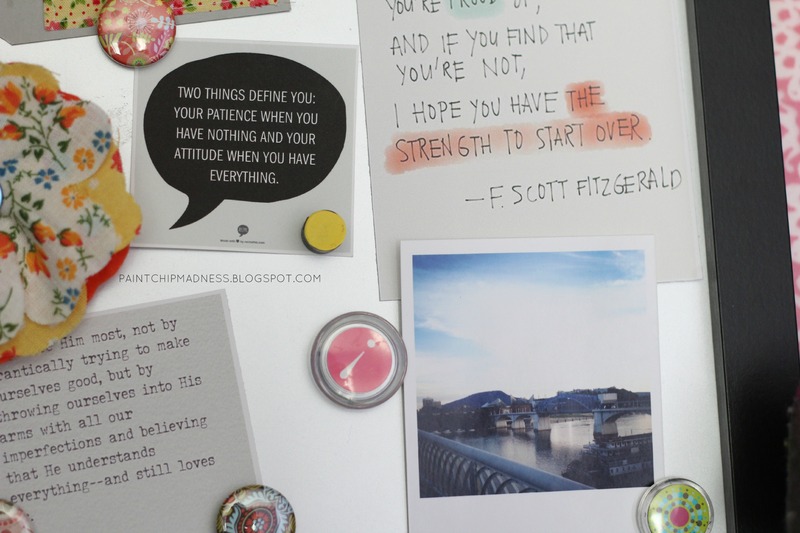 That inspiration board is pretty much my encouragement board. It sits on top of my dresser and it's a daily reminder of all the truths out there to listen and believe instead of all those lies (wow, that's a little deep). :) And that Fitzgerald quote is my fave! 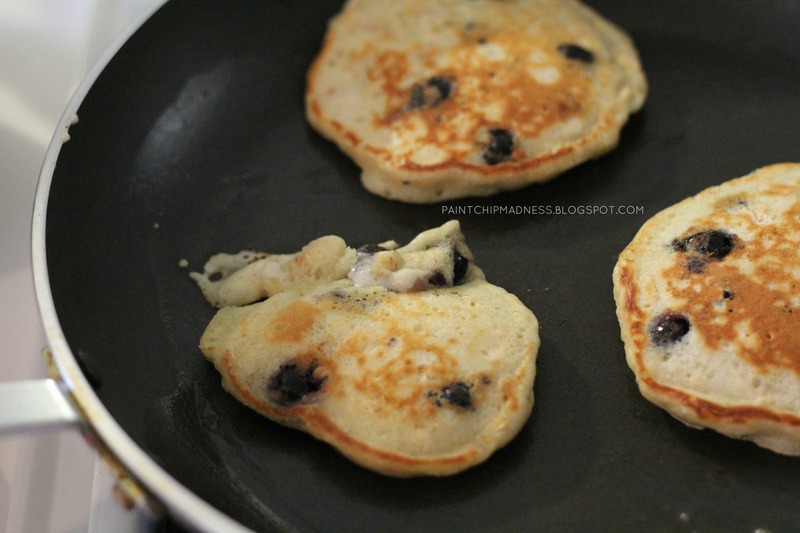 I am reallllly craving pancakes now! 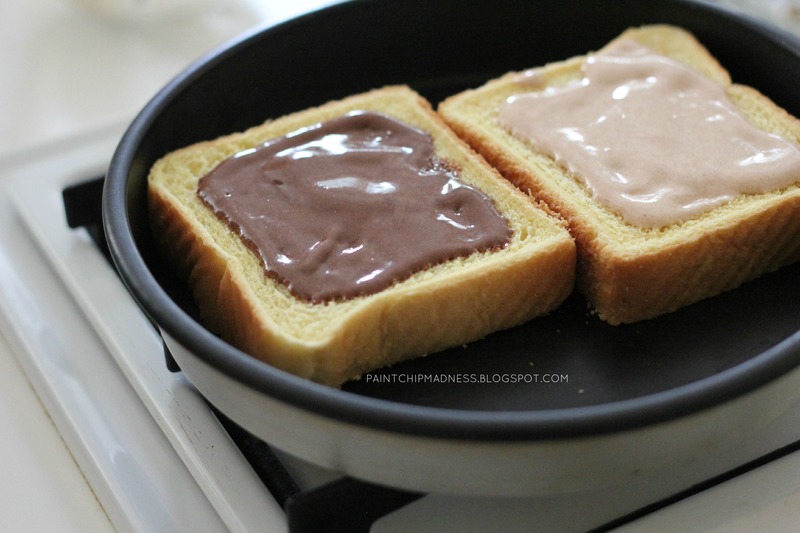 That toast topping looks like Nutella. haha That was my first thought! How was it?